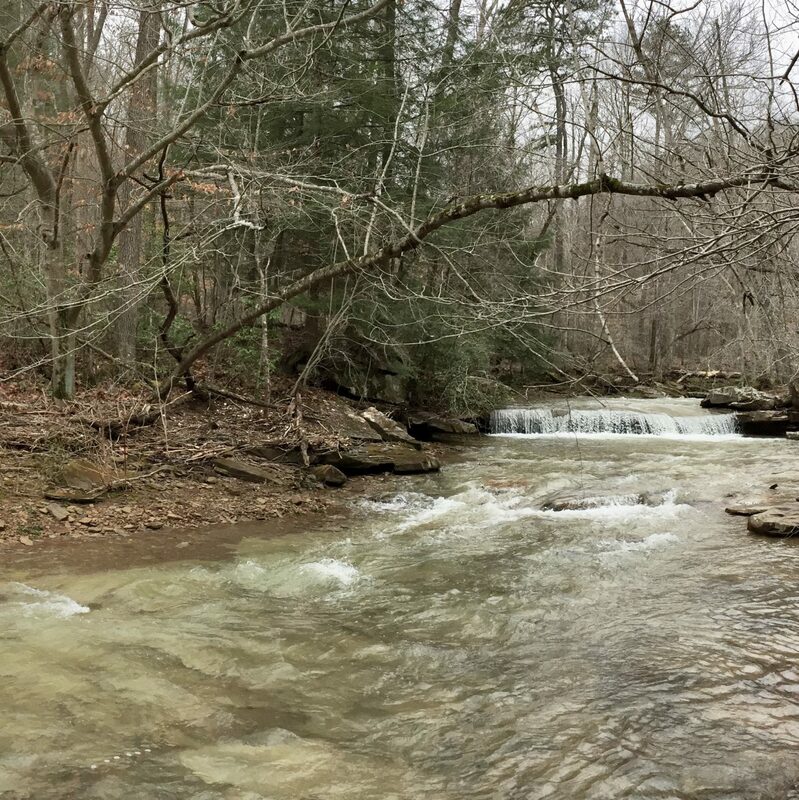 In the spring of 1889, while the Hatfield and McCoy conflict of eastern Kentucky and West Virginia was grabbing national media attention, the Portsmouth Daily Times reported on an “old feud” in the area of Upper Twin Creek. “A Night Tragedy” provides an account of the shooting of Willam and Murt Cooper by Ambrose and Sandford Nickels. The Times reporter reinforces emerging stereotypes of lawlessness and feuding in the region, playing off popular interest in the Hatfield and McCoy “Feud,” while referencing the literary works of William Flagg, one-time resident of Buckhorn Ridge, the divide that separates Upper and Lower Twin. I look at their graves through the mackled snow, through the patchy dormant grass and through the wet winter dirt, and wonder: Could I peer within would the moldering bones themselves divulge the events of their lives? At times in my life I’ve puzzled as to the existence of a Biblical God, but I have no doubt that I am surrounded by the spirits of the departed in this place, as thick as the fogs that shroud these hollows on a spring morning. The buds on the maples are swelling, tomorrow calls for peeking sun and warmer, green growth on the ground will appear. The soft breezes murmur their stories. This feature-length article by Wilmer G. Mason originally ran in the Sunday edition of the Cincinnati Enquirer on the 24th of February, 1926. Its author, like many journalists in the decades to come, brought with him a camera as he drove into the hill country of southern Ohio. Upper Twin makes its final, oblique turn west in a three-lobed bottom that extends north up the Creek to the hump before Stable Gut, southeast up Dodd Hollow toward the low gap leading to the river, and west downstream past Tucker’s Run into the flood plain. The bottom is dominated by what were, when he first came into the country, two large farms. Esty Murphy’s place ran from Stable Gut all the way up Dodd Hollow, while the lower lobe was mostly farmed by Jim Richardson, whose place ended just up the creek from the homestead. The sun rose under a sky packed with cloud. Unsure whether it held rain, he left early for the homestead seven miles down Upper Twin. His brother was working on the new greenhouse but put away his tools, they got in his truck and headed upriver to the old new bridge, then downriver through Garrison, the ritual nod to the mouth of Kinniconick, and a mile west of town pulled off the road in the parking lot of the church of the Nazarene. Sunshine Ridge cups Lower Twin as it arcs from Silver Mine Hollow on the east to De Mazie on the west. The creek flows south southeasterly, following Blackburn Ridge to California hill, whose bluff drops to a narrow shelf sufficiently above the river to allow the old cord-wood packet village of Buena Vista—yclept Beuny—to perch there. The woods across the hollow is lambent with the full pantone array. The run drops southward from eye level on the left to a hundred feet below on the right. The color turns an abrupt pastel blue a hundred feet above a series of ridges that fold away like interlocked knuckles all the way to Kentucky. On the near side of the run the clear cut has produced a thick sapling furze whose colors mirror the trees on the facing slope.